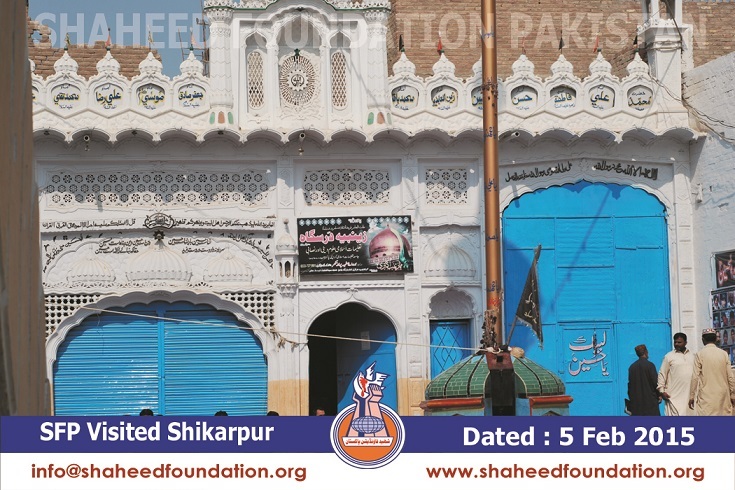 A delegation of Shaheed foundation Pakistan visited Masjid-e-Imambargha Karbala-e-Moala Shikarpur, on Thursday 5th Feb 2015. 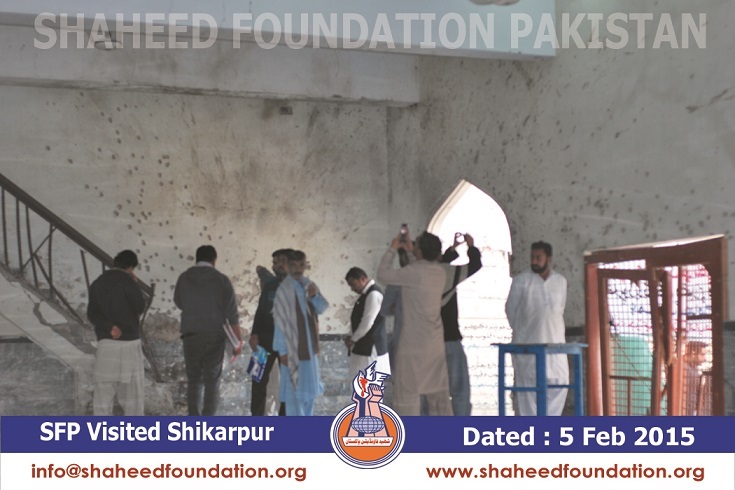 The visit was to check out the reconstruction, rehabilitation work and condolence with shohada families. 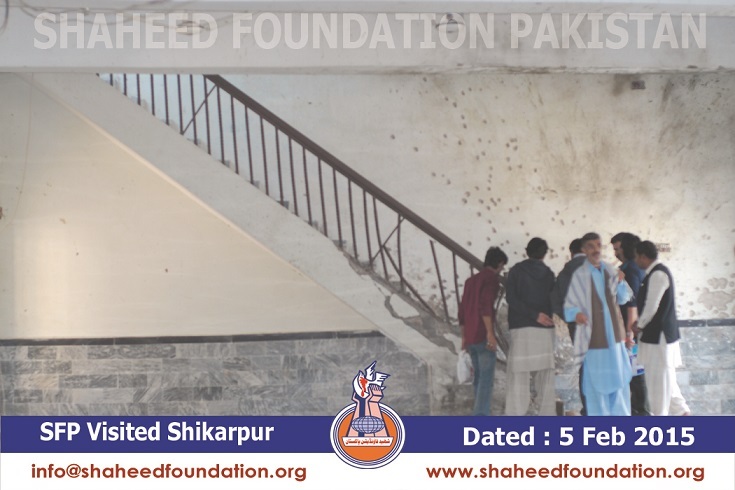 Delegation consists of Member of central Committee, Area in charges of Sindh and Baluchistan, Corrdinators and area in charges of Karachi. 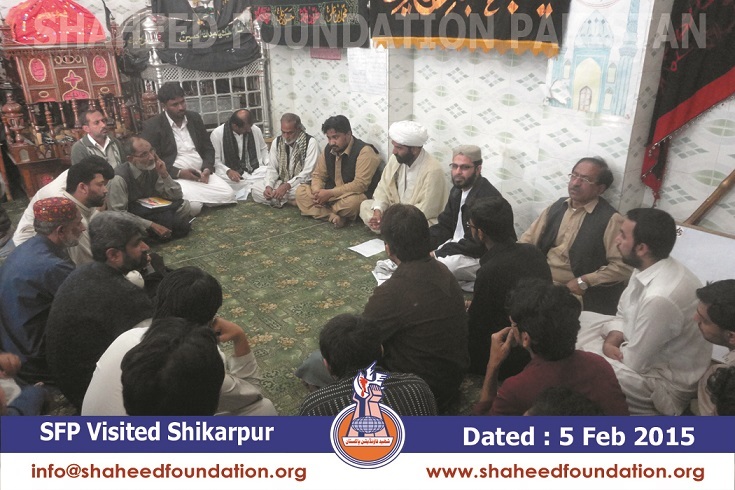 The delegation reached incident site where Head (Molana Maqsood Dumki) and members of action committee welcomed them. 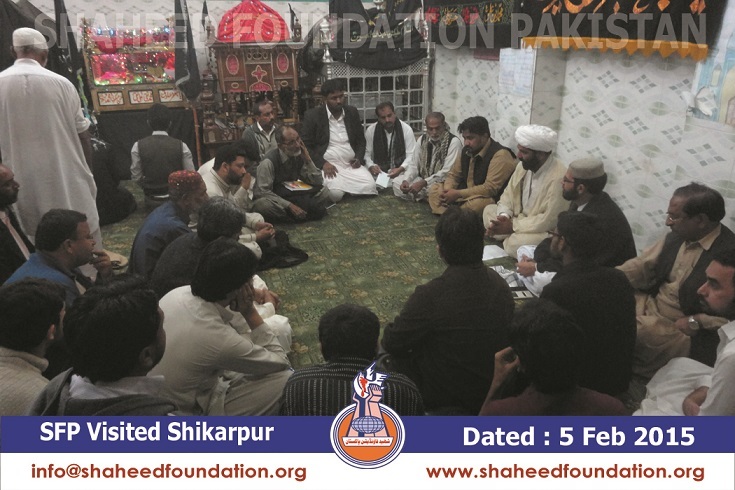 Soon after that, a meeting was organized to brief SFP members about the incident details and problems faced by families of Shohada. 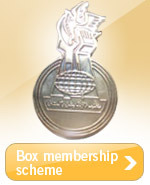 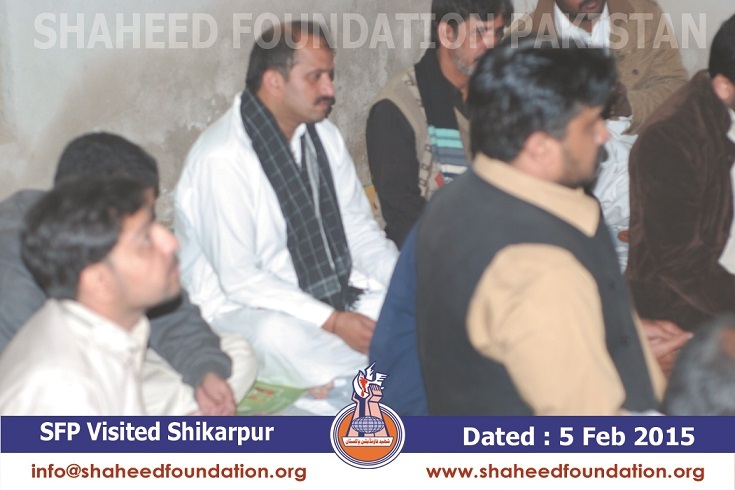 SFP members listened to action committee points. 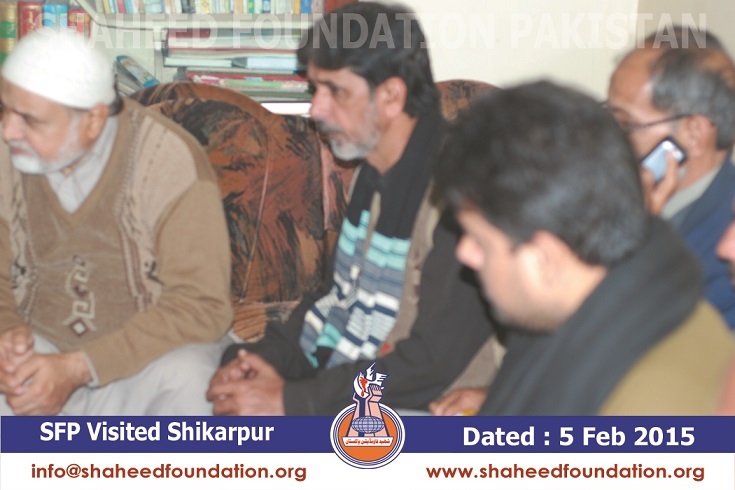 SFP offer condolence to families and action committee members. 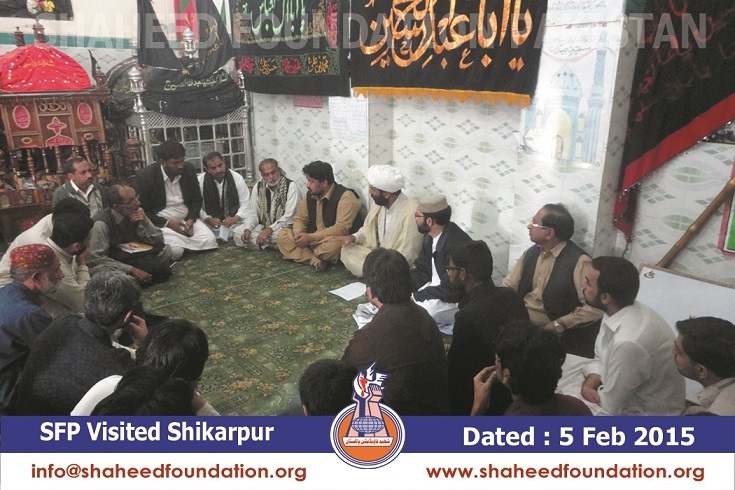 SFP also assured them that SFP will stand side by side with families of Shikarpur blast affectees. 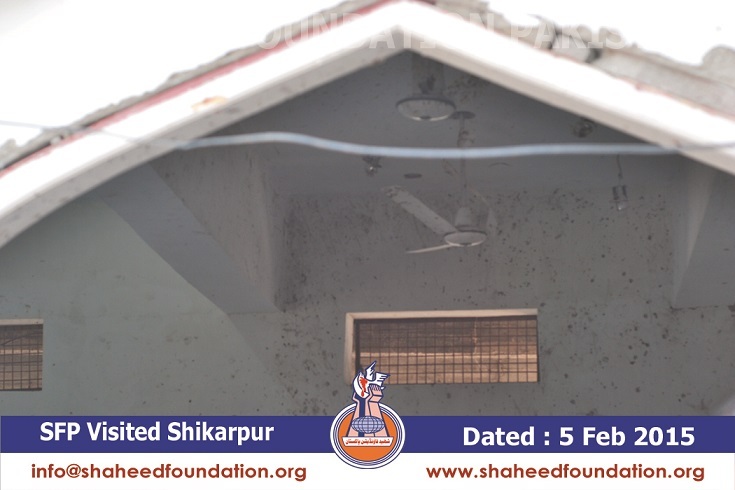 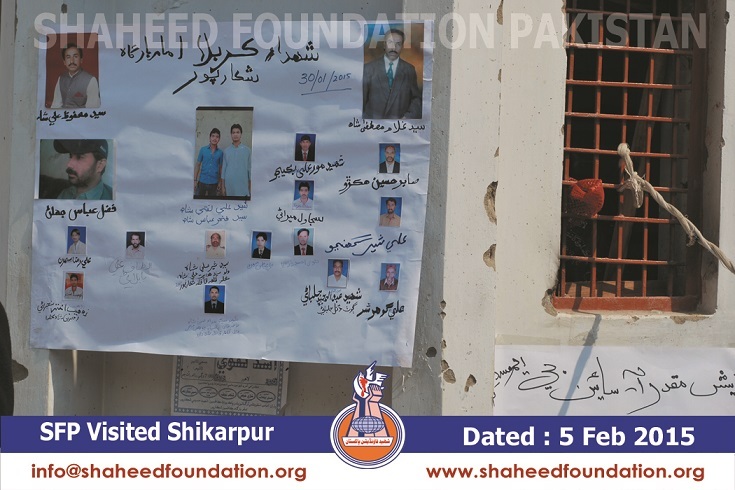 1- Support of shohada families who are in need. 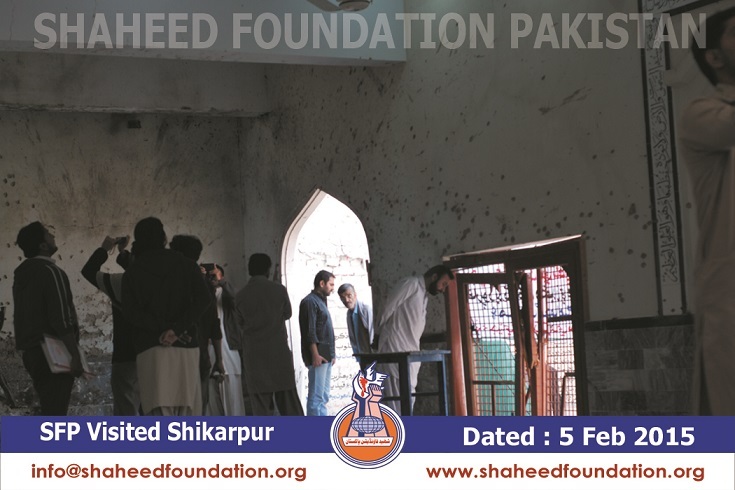 2- All those injured who got affected in any tragic event, SFP will support them until they got fully recovered to earn their living. 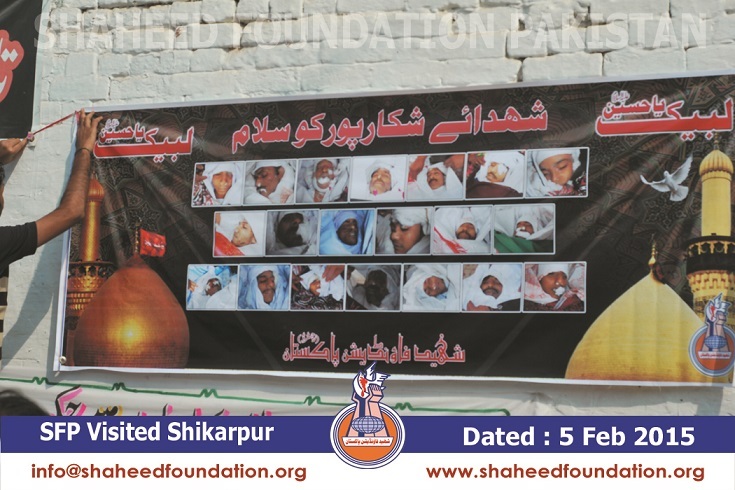 3- All those injured who came to Karachi for treatment. 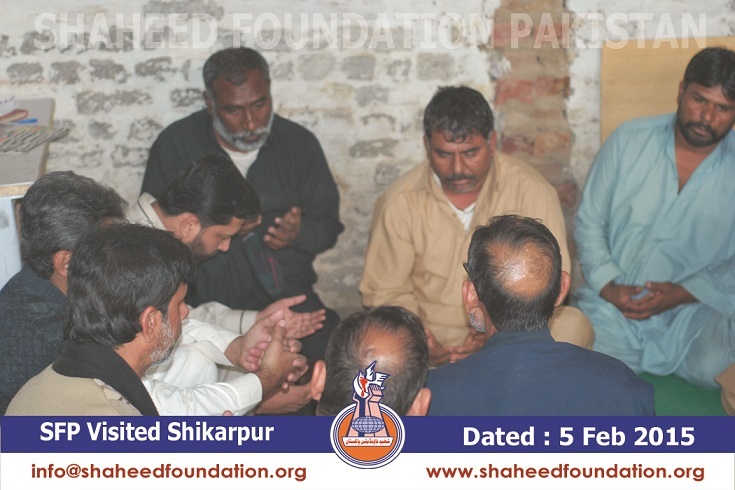 Those and their care taker if they need SFP will provide them food, transportation and place to stay while they were under treatment. 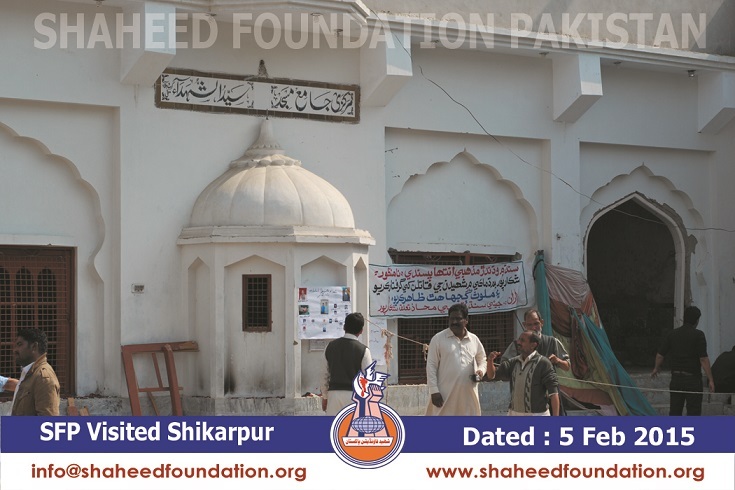 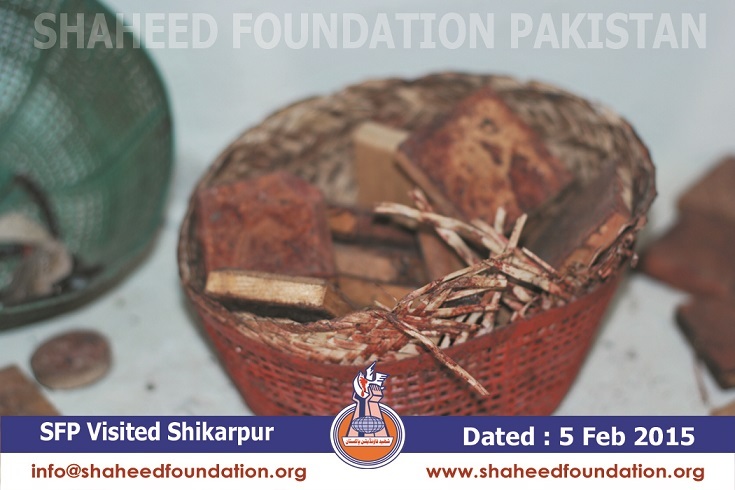 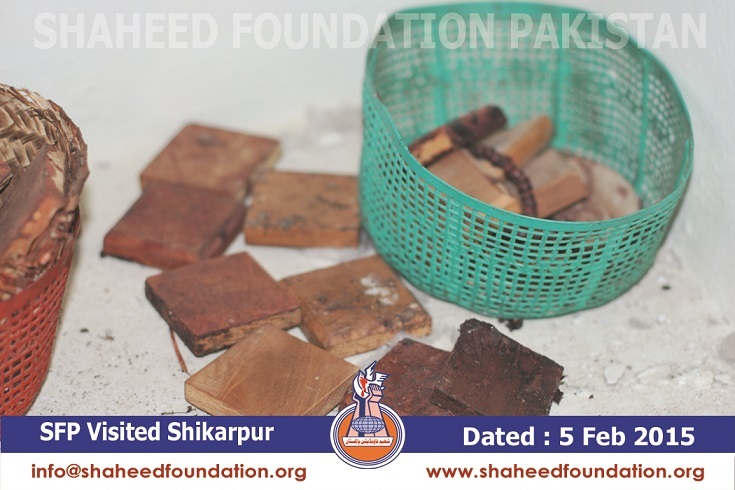 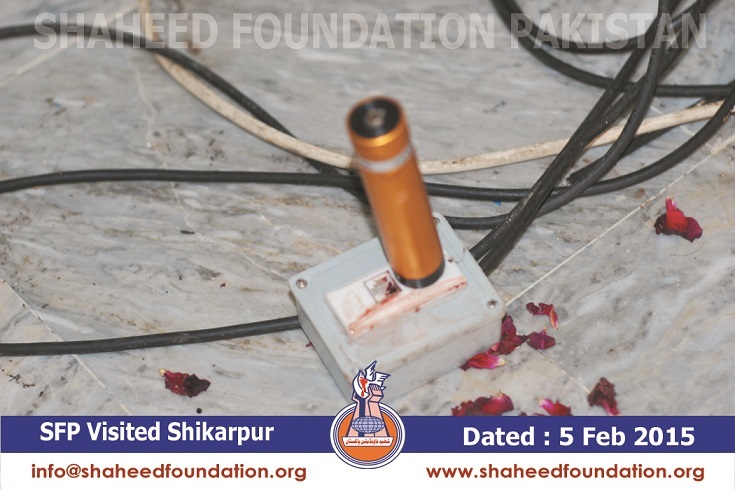 4- All those families who were unable to build their Shaheed grave, SFP will support them in making their Shaheed grave. 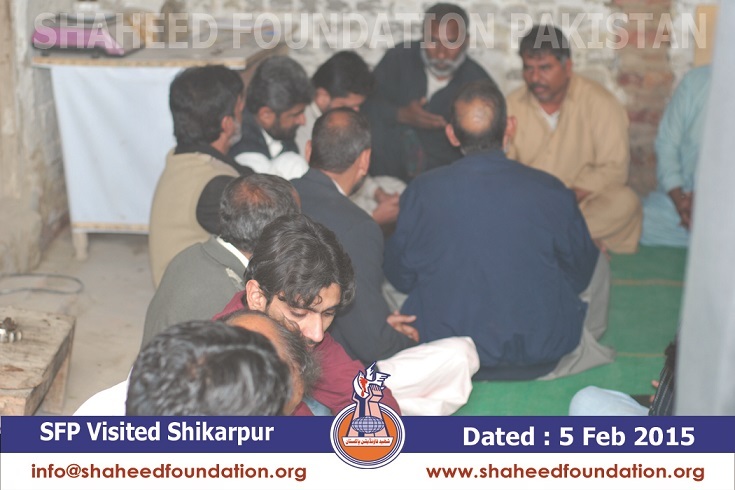 After the briefing members of action committee and family members of Shaheed got happy and satisfied with SFP work. 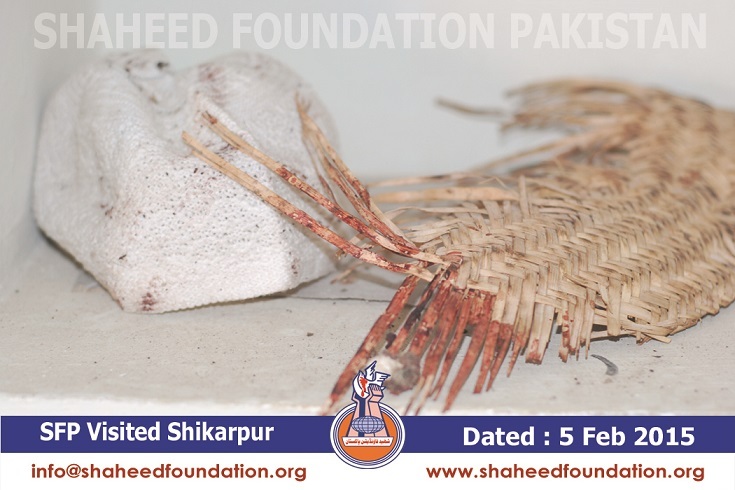 After wards SFP delegation visited blast site, graveyards and families of Shaheed to offer faitha. 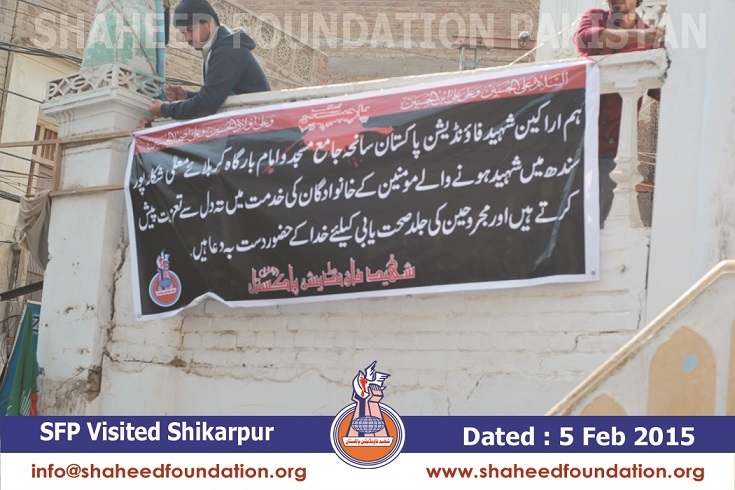 A committee was formed headed by SFP Sindh area in charge who will be responsible for distribution of funds among families of Shaheed and injured. 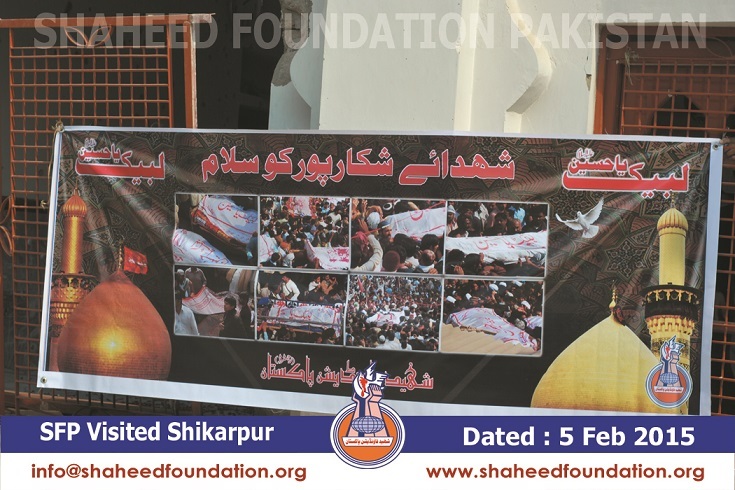 Please recite a fateha for Shohada of Shikarpur Bomb Blast and Shohada-e-Millat-e-Jaffaria Pakistan.